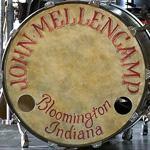 John Mellencamp Community > MELLENCAMP.COM ANNOUNCEMENTS > Ticket & Tour Questions > Australian Tour Postponed? Tony...this is the rumour, what's going on? Not a rumour, fact unfortunately. Doesn't help when it was so poorly advertised by the promoter!! There goes my non refundable airfare down the tube! Newcastle: Friday June 24th, Newcastle Entertainment Centre *New Venue Replaces Hunter V.
Yes this is confirmed. We received the updated/confirmed details overnight and will begin updating John's sites today. Yeah, got an email from the venue (bought tickets direct from the venue this time), with all the details about the tix being valid for new venue, but I was hoping you could shed some light (I don't expect all the nitty gritty details) as to why. The tour worked out better in June than February with all of the schedules involved. Good thangs come to those who wait......just have to wait longer I guess!!! I bought tickets for the Roche Estate Pokolbin NSW concert, Tickets were via Ticketmaster, I got great seats, now the new venue is Newcastle Entertainment Centre, Tickets via Ticketek. what will happen with my tickets now they are being sold via a different company? I'm shattered I may/will loose my good seats. I really don't want a refund and then have to buy again! any word on what may happen? Direct your questions to the promoter The Dainty Group, they will work with both ticket sellers to map over the tickets to correspondingly close sections in the new venue to their best ability. Keep us in the loop at help@mellencamp.com if you have any questions, but I think at this point don't expect to hear much until early January with the holidays coming up. Tony, as we Aussies would say, (using a cricket analogy) "You've played that with a straight bat"
But I'm not laughing because I, like many have to decide now whether to take a risk in forking out more $$ to change (non refundable) flights to June. People will have been burned by non refundable hotel accommodation. The status quo come June, might still be the same. It's obviously not yours or John's fault, I just wish the promoter was more upfront with the fans! The VIP ticket pricing structure set by the promoter is 100% ridiculous. $500, $380 they've got it so wrong. It wasn't anywhere near that in 2008, and John's shows were packed. That's our problem, in 2016. Aussie punters have just been burned on failed the Soundwave festival, many out of pocket for non refundable flights / hotels. All because the promoter was never upfront with the fans about the real reasons / status. I hope, pray that June goes ahead, it would be very sad if it didn't. No Australian tour now why? is there talk of any other proposed dates for Australia? I'd so love an answer to hit as well. It absolutely astounds me that there would be zero communication on why this occurred, particularly given how many people potentially lost flight and accommodation money.